Dental care may not be your primary concern in your move to Argentina, but it definitely shouldn’t be at the bottom part of your priority list. It is also an important facet of health care that you will need to address. With the advent of medical tourism in Argentina, dental tourism has also left its mark. This has brought to this Latin American country a bevy of dental professionals, and opened doors to more sophisticated and advanced facilities. When it comes to dental care, Argentina offers more options, a more flexible price range, and a better quality of service. As a result, locals and expatriates alike greatly benefit from the presence of the dynamic dental tourism industry in the country. The nation's capital of Buenos Aires is still the best venue to find your dentist. If you wish to canvas prices, you can look through websites such as Dental Argentina, which features a price list posted online as well as addresses which can help you find the best dentists in Argentina. If you have international health insurance, make sure to check if dental services are also covered before actually visiting a clinic. The presence of more establishments to provide dental care promotes healthy competition, and competition brings about better value for money. Though not exactly cheap, the quality of dental treatment one can receive is still more affordable in comparison to what you would be paying if you had procedures done in other major destinations like the US. Costs would greatly depend on what procedure you want done, but prices range around 200 USD and up for basic treatments. 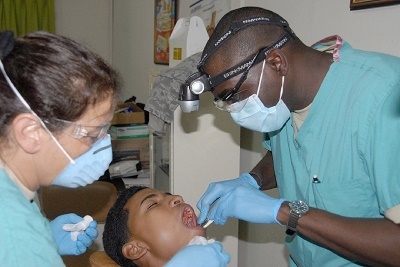 Dental care may be the least of your worries right now. However, just like the rest of your body, your teeth will need some care as well and you’ll need to make a visit to the dentist.